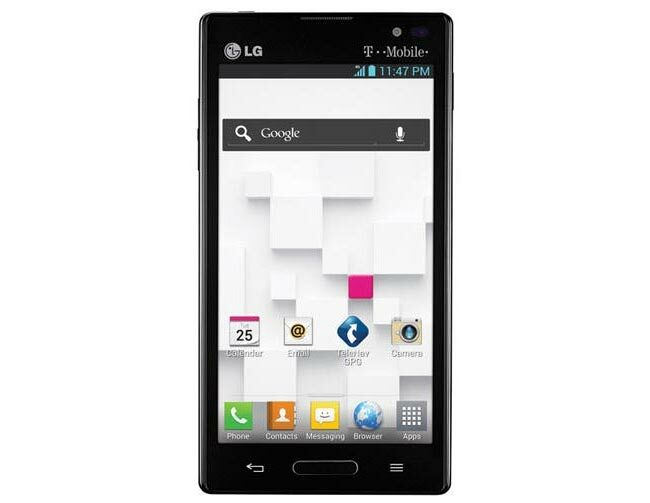 T-Mobile announced recently that they would start selling the new LG Optimus L9 on their network in the US, the handset is now available for $79.99 up front when you sign up to a new two year contract with T-mobile. This price includes a $50 mail in rebate, and the LG Optimus L9 comes with android 4.0 Ice Cream Sandwich and featires a 4.7 inch qHD multi-touch display. The 4.7 inch display on the LG Optimus L9 has a resolution of 540 x 960 pixels and the device is powered by a dual core 1GHz processor and comes with 1GB of RAM. Other specifications on the LG Optimus L9 include a 5 megapixel camera, a 2,150 mAh battery, and 4GB of built in storage, you can find out more information about the LG Optimus L9 over at T-Mobile.